A practicing Muslim soldier is preparing to file a civil rights lawsuit against the U.S. Army over allegations that her command sergeant major forced her to remove her religious headscarf, the hijab, according to ABC News. 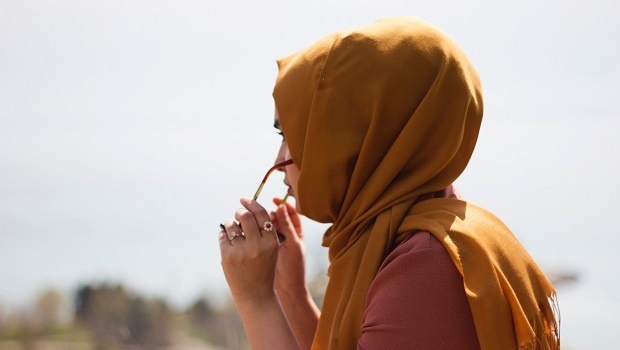 26-year-old Cesilia Valdovinos has been in the army for seven years but converted to Islam in 2016, and that is when she began wearing a hijab as part of her faith. After her conversion she got a special permission from her brigade commander Col. David Zinn to wear the religious head covering as part of her uniform. But during a suicide prevention briefing, Valdovinos says command Sgt. Maj. Kerstin Montoya grabbed her by the arm, took her outside and forced her to take off her hijab in front of other soldiers. “I felt embarrassed and religiously raped in a sense,” she said in statement released by nonprofit advocacy organisation dedicated to religious freedom, the Military Religious Freedom Foundation (MRFF). She says she has experienced “extremely hateful” behaviour because of her faith. “I got called a terrorist. I got called Isis,” she told Yahoo!. “I hear comments that I’m the reason why 9/11 happened. There’s a lot of anger and animosity,” she explained. An army spokesman says Valdovinos was singled out for failing to have her hair in a bun under the headscarf as per regulations, reports Army Times reports. However, she insists she was wearing her hair in the correct style, and that it only came loose as she removed her headscarf. “The findings of our commander’s inquiry determined the senior non-commissioned officer acted appropriately by enforcing the proper wear of the hijab, in compliance with army regulations,” said her brigade commander in a statement to Army Times. Valdovinos has since been demoted following an unrelated accusation about an inappropriate relationship between herself and a fellow soldier, which she denies, said her lawyer, Mikey Weinstein. He also added that he believes the hijab incident contributed to her demotion.